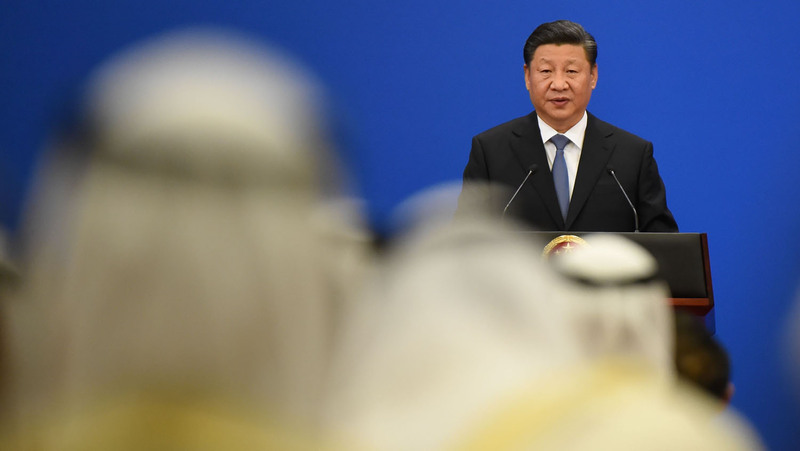 Xi also emphasized to the Arab representatives the importance of the Belt and Road Initiative, a Chinese project aiming to rebuild the ancient Silk Road trade route by enhancing connectivity and transport infrastructure along the thousands of miles between China and Europe, including a route through the Middle East. “Belt and Road cooperation has energized every dimension of Sino-Arab relations and propelled Sino-Arab all-around cooperation into a new phase,” Xi said. He announced that a China-Arab cooperation statement would be signed to accelerate progress on the Belt and Road Initiative. “This marks a new historical starting point of Sino-Arab friendship and cooperation,” he said. It is clear that Xi is critical of the forays the traditional powers have made into the Middle East and that he hopes to capitalize on China’s unique position of “neutrality” to increase its influence there. The Belt and Road Initiative is bringing improved connectivity in the Middle East and beyond—and is setting the stage for increased China-Europe cooperation. It is also setting the stage for the rapid fulfillment of specific Bible prophecies. Isaiah 23 forecasts that a “mart of nations,” an enormous economic partnership, will form in our lifetime. Leaving the partnership will be Chittim (an ancient name for modern China) and Tyre (a city representing modern Europe’s commercial center). Alongside other Bible passages, Isaiah 23 shows that these economic powerhouses will work together to control global trade for a brief time. Deuteronomy 28:52 shows that this “mart of nations” partnership will operate at America’s expense . “And he shall besiege thee in all thy gates, until thy high and fenced walls come down, wherein thou trustedst, throughout all thy land: and he shall besiege thee in all thy gates throughout all thy land, which the Lord thy God hath given thee.” Other passages of scripture such as Habakkuk 1 show that the power besieging America will be a German-led European conglomerate. Isaiah 23 shows that this European entity will accomplish this prophesied besiegement with China’s cooperation. Trumpet editor in chief Gerald Flurry explains in his booklet Isaiah’s End-Time Vision: “The Bible contains many prophecies of that European power attacking America—and many other prophecies of America being besieged. The importance of China’s growing influence in the Middle East is revealed in these Bible prophecies. In the near term, these developments point to a grim future for America and some of its allies. But the “mart of nations” and the looming conflict associated with it will be followed by the most hope-filled era in mankind’s history. Mr. Flurry writes: “[W]hat a dynamic market of nations it is. All of them are going to besiege America, Britain and the Jewish nation. … But that trading partnership won’t last long. Soon they will clash, just before Jesus Christ returns and destroys both of them” (ibid). China’s growing power in the Middle East is leading to the return of Jesus Christ. He will bring a decisive end to the chaos and usher in an age of peace for the people of China, the Middle East and the whole world. To understand more, read Mr. Flurry’s inspiring booklet Isaiah’s End-Time Vision. This entry was posted in Asia, Axis Powers, Bible Prophecy, Business & Economics, China, Europe, Germany, Great Britain, Israel, Japan, Middle East, National Security & Terrorism, Politics, Religion, Soviet Union, The Fourth Reich and tagged ancient silk road, Arab League, Asia, Beijing, Belt and Road Initiative, Bible Prophecy, Business & Economics, China Working to Boost Role in Middle East, China-Arab States Cooperation Forum, Chittim, Deuteronomy 28:52, europe, Germany, Great Britain, Habakkuk 1, Holy Roman Empire, Isaiah 23, Israel, Japan, Jesus Christ, mart of nations, Middle East, National Security & Terrorism, North America, politics, russia, Sino-Arab relations, The Fourth Reich, trade route, Tyre, Xi Jinping. Bookmark the permalink.